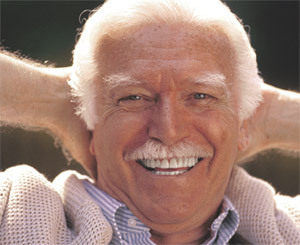 Do you need dental implants in order to achieve the smile you desire? Luckily, the procedure is not nearly as intimidating as it may seem. SoundView Oral & Maxillofacial Surgery is here to provide you with more information about dental implants that will increase your confidence and ease your mind. Proudly serving New London, CT, and the neighboring communities, this team of experienced oral surgeons specializes in everything from dental implants and tooth extractions to jaw reconstruction and bone grafting. When you want effective dental solutions that give you a bright and sparkling smile, put your trust in these friendly oral care professionals. Your natural teeth are composed of roots and crowns, and dental implants are no different in their basic structure. Most dental implants are made out of titanium, which is the same hardwearing material used in joint replacement surgeries. During the first phase of your dental implant procedure, your oral surgeon will replace your broken tooth with a small implant at the root, allowing the bone to repair and rebuild around the implant. Over time, the bone will bond with the titanium, creating a solid foundation for your replacement tooth to rest upon. During the next phase of the procedure, your oral surgeon will affix a support post atop the implant along with a crown to complete the construction of your artificial tooth. Modern advances in the technology have made dental implant procedures quick, convenient, and virtually pain-free. When you’re ready to smile with a full set of gorgeous teeth, allow these gentle and skillful oral surgeons to successfully complete your dental implant procedure. Rely on SoundView Oral & Maxillofacial Surgery in New London to give you the ideal smile you’ve always wanted. Give them a call at (860) 443-3619 today to speak with a welcoming staff member about booking a consultation for dental implants. You can also visit them online to find out more information about their many reconstructive and cosmetic oral surgery options, and catch up with them on Facebook, Twitter, and Google +.